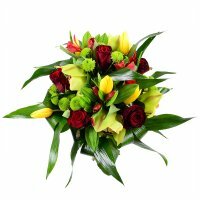 separately (order without the flower products) — 5 usd. 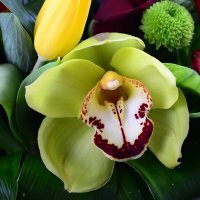 Cymbidium green(4 pt. ), Rose red(5 pt. ), Сhrysanthemum green(3 pt. 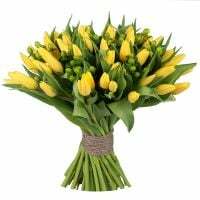 ), Tulip yellow(5 pt. ), Alstroemeria red(4 pt. ), Tape(2 pt. ), Greens(3 pt.). 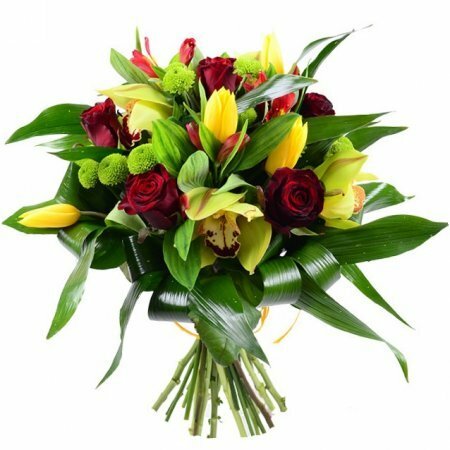 Birthday, Business, Colleague, Compositions, Exotic bouquets, For children, For grandmother, For her, For mother, For young lady, Gratitude, I Miss You, New-born, Sorry, Wedding flowers, Аnniversary. 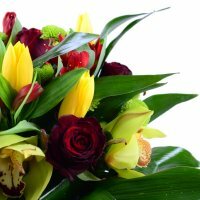 Bouquet «Exotic» is a truly colorful and incredibly bright composition filled with freshness. Gorgeous red roses, green orchids and chrysanthemums, yellow tulips and red alstroemerias, complemented with wide green leaves, appear in the beautiful shape. Feel the breath of the exotic! 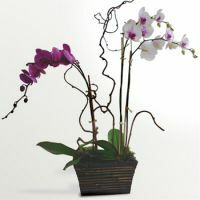 Congratulate your mom and granny with Birthday, delight your sister on 8 of March, and please your girlfriend on a date with that magnificent floral present. 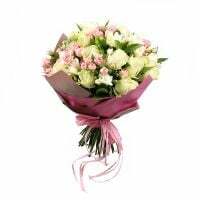 Besides, the bouquet is a truly flawless present for colleagues. Enjoy yourself! Attention! 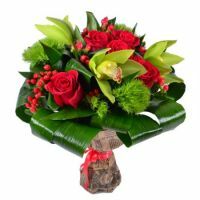 The bouquet may differ from the images displayed on our site. 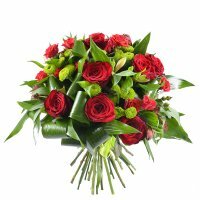 What I liked the most about your service is the great smile in the lips of my girlfriend, ultimate judge of everything that you stand for. Her approval means the world to me. Thanks for everything! Manager response: Fabricio, Thanks for Your feedback! Our goal is to give joy! We are very glad that we did! Work for You.